Fukui prefecture is an attractive sightseeing place where you can enjoy history, nature, and magnificent views created by the Sea of ​​Japan. In this article, we introduce five sightseeing spots of Fukui prefecture that can be enjoyed with family. These places are recommended by locals where you and your family will have fun together in Fukui. 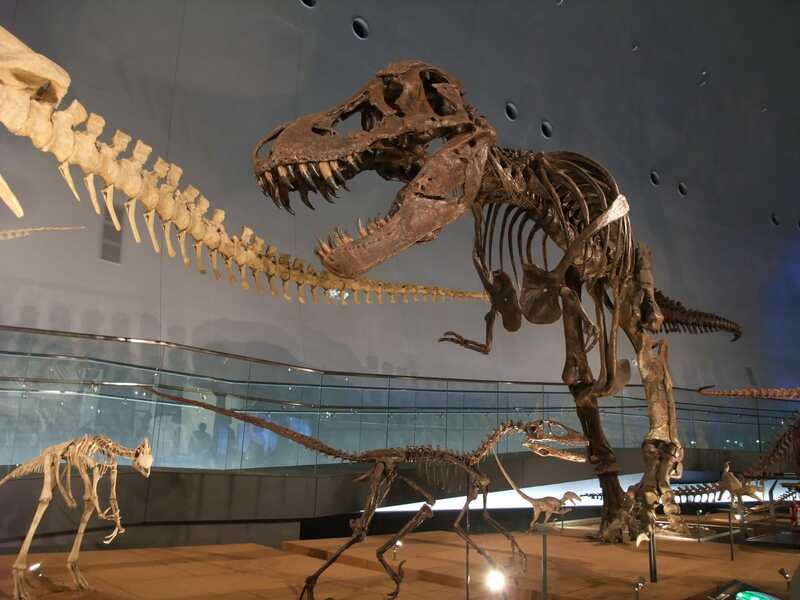 Fukui Prefectural Dinosaur Museum is a museum of paleontology, dinosaurs, and geology. The museum was opened because many dinosaur fossils are found in Fukui prefecture. Making this an important research facility for dinosaurs in Japan. Besides exhibitions and experience field in the museum, you will also find things to do and see outdoors. A huge dinosaur fossil is displayed in the hall, and you can request an expert guide of fossils and dinosaurs. An open-air dinosaur museum located outside the museum is available by reservation. This is one hour tour which provides you with a guide of the excavation site and fossil research, exhibits, and the experience of excavating a real fossils at the site. The museum has coin lockers and nursing rooms for families with lots of baggage and small children. There is also a restaurant which serves curry rice and hamburgers with dinosaurs’ motifs and udon noodles. This museum amuses not only kids but adults who likes dinosaurs as well; so the whole family can enjoy. You can feel the ancient old days where the dinosaurs roamed. 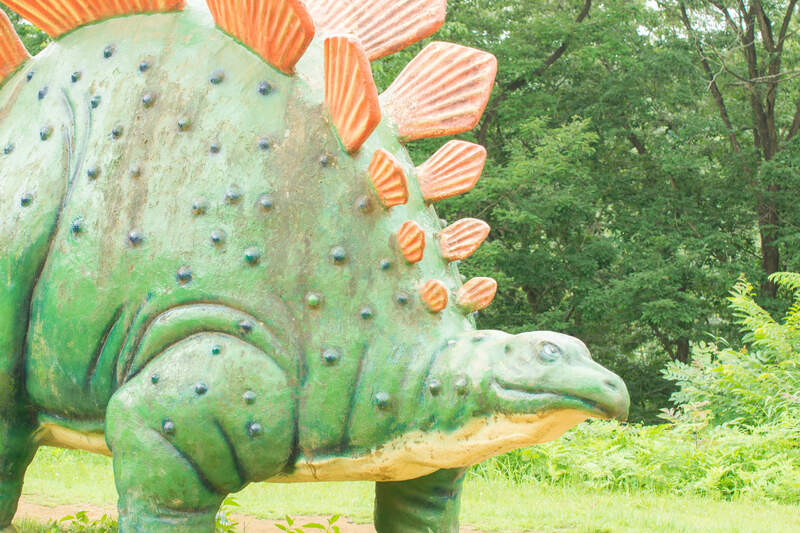 Katsuyama Dinosaur Park is a dinosaur- themed park facilities. Part of the park facility can be used for free. You can play on Tyrannosaurus or Sugiyamasaurus. There is also a walk-through type attraction which has a model of a full-size dinosaur, and you feel you are as if seeing a real dinosaur. The excavation experience of the fossil is the centerpiece of this park which can not be experienced elsewhere. This activity needs a reservation in advance, and you can uncover not only genuine dinosaurs but fossils of old age creatures and plants. You will have an opportunity to touch a real fossil, and you feel something from ancient times. There are also many rest areas such as rest houses and snack shops in the facility. You can enjoy barbecue when reserving the BBQ pit in advance. It’s a nice place you to enjoy the mystery of nature in Japan with your family. From JR Fukui station, take Echizen Railway Katsuyama-Eiheiji line, bound to Katsuyama. Takes 1 hour to Katsuyama station. 10 minutes commute by taxi or a community bus from Katsuyama station. Approximately 1 hour 30 minutes travel time from JR Fukui station. However, additional charge will be incurred for Katsuyama Dino Park, BBQ garden use, and the Dinosaur Fossil Excavation Experience. Angel Land Fukui is a children’s science hall built by Fukui Prefecture, and the formal name is “Fukui Prefectural Children’s Science Museum”. It is a popular facility for children in Fukui, and Mr. Mamoru Mori, a Japanese astronaut, is the Honorary Director of this hall. 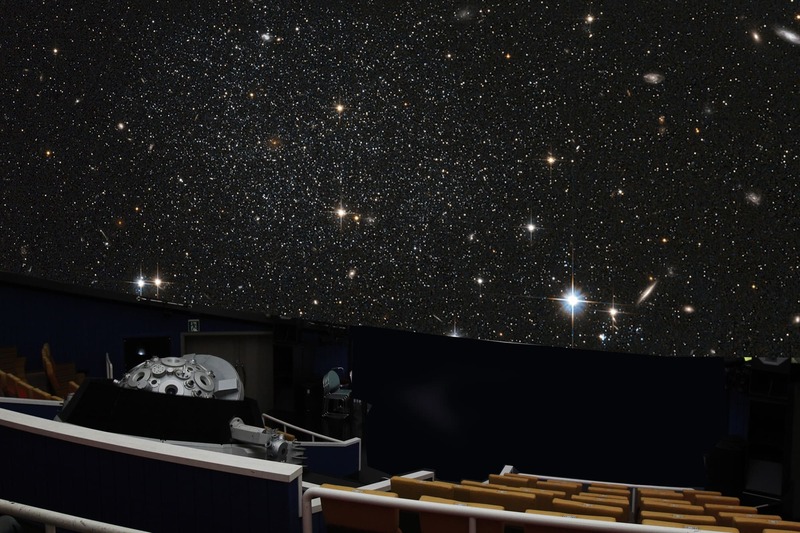 You can enjoy a majestic space show at a planetarium which is the largest in the Hokuriku region. There is also a science show in the hall. It also　features learning science not only by seeing but also by experience, such as machinary using simple scientific principles and computer software. There are also playthings that can be enjoyed inside and the outside of the hall. Local kids love the trampoline that looks like big clouds, wooden playground equipment, dinosaur type playground equipment at this facility. There is a cafe space where you can eat and relax while your kids play hard. Your family will be able to enjoy with learning and playing all day long. And don’t forget to buy space foods and science experiment kit that you can enjoy even after you go home. From JR Fukui station, take Echizen Railways Mikuni-Ashihara line, bound to Fukui to Taromaru station. 15minute walk from the station. Approximately 50 minutes travel time from Fukui station. 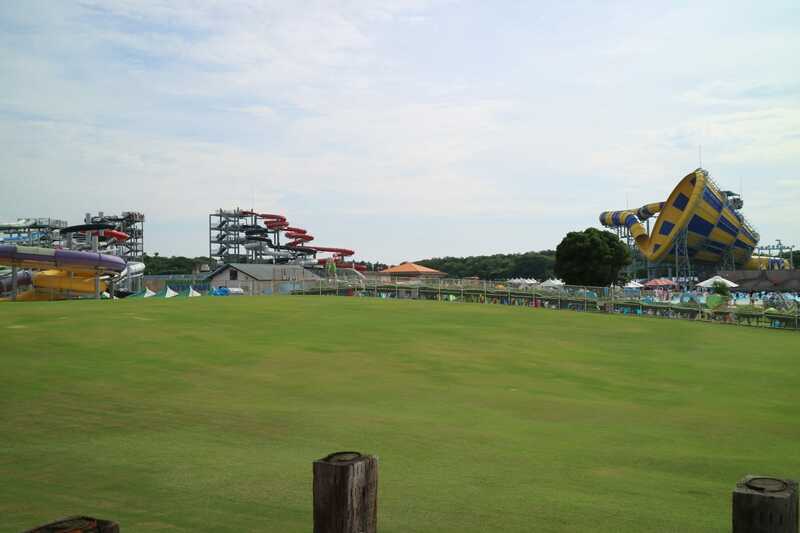 Shibamasa World is a multi-activity leisure park which has a campsite, water park, and amusement park rides. The park is popular as a leisure spot in the summer; especially the water sliders are the most popular for the people who are taller than 120 centimeters in height. Various pools are available for your family such as a wave pool, flowing pool, and kids pool. Floating ring rental is available, and you can keep wearing your swim suits to go on rides and other area in the park. Besides the water park, you can enjoy roller coasters and other rides in the amusement park area. Lots of rides allow small kids to ride with parental supervision. A vast lawn area lets you to sunbathe and rest after playing hard. Rental of balls, frisbees, and other playthings that can be used on the lawn as well. Staying over at a campsite that overlooks the Sea of ​​Japan and enjoying the nature of Hokuriku would be something different for your Japan trip. From JR Fukui station, take Hokuriku-Hansen line bound to Kanazawa. Get off the train at Awara Onsen station, and 15 minute taxi ride. Approximate travel time from Fukui is 40minutes. 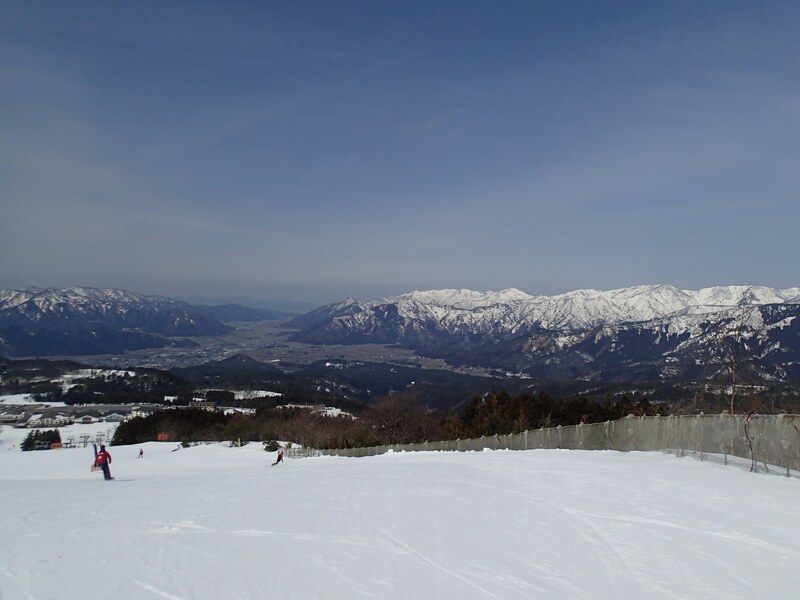 Ski Jam Katsuyama is a leisure facility based mainly on the Japan Sea side’s largest ski resort. It is located on a plateau suitable for skiing, you can enjoy snow sports such as skiing in winter, and other sports in the plateau from spring to autumn. During off-season, you can enjoy barbecue, putter golf on the lawn, sledding play, and Segway. There are facilities for fishing on the waterside and boating, so your family will never get bored, and adults get refreshed. During winter, you definitely want to go skiing and soak in the hot spring. Even if you never play skiing before, there is training school for novice skiers and snow boarders. You can rent skiwear and equipment at the site, so you don’t have to bring your own. Nursery service is available for parents who want to enjoy skiing without worry about their kids. After playing hard, a hot spring bath in a rock bathtub will take your fatigue and let you to rest well. From JR Fukui station, take Echizen Railway Katsuyama-Eiheiji line, bound to Katsuyama. Get the train off at Katsuyama station and use taxi ride for 25 minutes. Direct bus is available from JR Fukui station during winter ski season and takes about 60 minutes. Approximate travel time from Fukui is 1 hour to 1 hour 30 minutes. However, fee will be occur for use of heated pool, hot spring, and supplies.